You are here: Home / Uncategorized / Is Apple Giving Up On Computers? 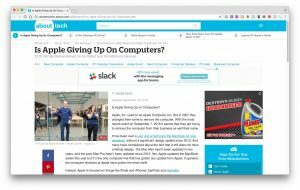 Is Apple Giving Up On Computers? Is Apple giving up on computers? I think it is. Apple announced the iPhone 7 with missing headphone jack and wireless EarPods to much fanfare on September 7th. But what a lot of people missed were the updates to the computers Apple has been selling for years. Is Apple phasing out computers to focus on other technology? I think it’s interesting to imagine that we might be looking at the end of the personal computer era. Instead of being forced to work with devices that are bulky and large and must be toted around in a huge case if they are portable at all, more and more people are opting to not use them at all and instead use things like smart phones and tablets for their day-to-day entertainment. I wrote this article for About.com to express some thoughts on where the computer industry is headed. Do you agree? Do you still use computers all the time for anything but work? What about work? Could you do web design work withoug a computer? Let us know below in the comments. Read the Full Article: Is Apple, Inc. Giving Up On Computers? Order at Amazon.com or Barnes & Noble. 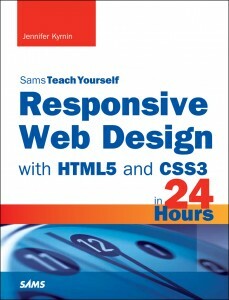 You can learn many ways to layout your web pages in my book on responsive web design: Sams Teach Yourself Responsive Web Design in 24 Hours. In it I cover lots of different ways to make a website more accessible, along with how to write HTML5.